Facebook, Inc. (NASDAQ:FB) CEO Mark Zuckerberg has said a lot in the last week, but he hasn’t addressed the question Wall Street needs answered. He has yet to address the company’s business model problem. Namely, Facebook’s absolute reliance on advertising to drive its capital spending. What happens if he can’t? As I have noted repeatedly, Facebook is uniquely vulnerable among the five “Cloud Czars.” It is the only player whose sole business is running an ad-supported media platform. Even Alphabet Inc (NASDAQ:GOOGL) has been moving away from this dependence, becoming a consumer products company selling phones, computers and smart speakers. It doesn’t take ads on Google News, it stopped investing in Google Plus and it stripped ads from Google Finance. Investors don’t appear concerned about Facebook’s issue. Since I warned about Facebook’s ad dependence March 26 the shares are up 2.5%. Is Facebook Stock a Bargain? Analysts look at Facebook’s service revenues and see a bargain. It sells at 31 times earnings but its “forward” price to earnings ratio, what they expect based on 2019 earnings, is in the teens. It remains uniquely profitable, since it doesn’t sell goods, only gives away services. While the consensus is it will deliver $1.36 per share of earnings on $11.18 billion of revenue when it reports the March quarter on April 25, the “whisper number” is $1.48 per share. Analysts remain bullish. The stench of scandal can wear off. Most analysts figure it takes 18 months for a company to recover from a data breach or a food poisoning scandal. Even Wells Fargo & Co (NYSE:WFC) will be attractive once it wraps its arms around its scandals. You need to bank, and you need to eat. But do you need to socially network? 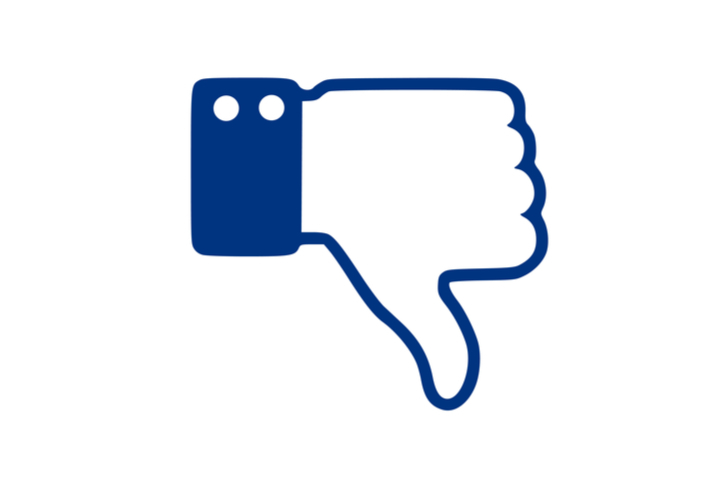 Facebook faces a perfect storm of criticism, but analysts may be focused on the wrong critics. Analysts are focused on the elite criticism of reporters and politicians. How Facebook determines what ads to show you, or what content to show you, is the center of attention. What we should be focusing on is whether people are still paying attention. Some people and businesses have quit using social media altogether. Oversharing, the fear of revealing too much of ourselves online, has become a thing. As a reporter I was taught to live as though I were on TV all the time. This has been taken as negative by my family. They don’t use social media, and they don’t like me mentioning them in my work. But Facebook, even more than Google, depends on oversharing. The sharing of thoughts, and news both public and private, is the lifeblood of Facebook. The question is not whether Facebook is better without ads. The question is whether people can get along without Facebook. Remember, you don’t have to delete Facebook to hurt it. Just don’t hang out there as much. Should Facebook Divest the Cloud? While Alphabet, Amazon.com, Inc. (NASDAQ:AMZN), Apple Inc. (NASDAQ:AAPL) and Microsoft Corporation (NASDAQ:MSFT) sustain the capital expenses of their clouds by selling access to them Facebook does not. Facebook’s investment in the cloud has been accelerating. While most analysts talk about breaking up the company based on services, separating out Instagram and Messenger, a more important question may be, what if Facebook divested its data centers? If Facebook traffic starts to deteriorate, someone will say that separating the service from its infrastructure its only hope. But a cloud without traffic is dead iron. So if this rumor gets started, sell the stock immediately. Dana Blankenhorn is a financial and technology journalist. He is the author of the historical mystery romance The Reluctant Detective Travels in Time, available now at the Amazon Kindle store. Write him at [email protected] or follow him on Twitter at @danablankenhorn. As of this writing he owned shares in MSFT and AMZN. Article printed from InvestorPlace Media, https://investorplace.com/2018/04/facebook-inc-problem-bigger-current-scandals/.